In Midorigaoka, even the newer homes built in the 80s and 90s are nearing the end of their expected lifespan. Under normal circumstances, their days might be numbered. But down at the end of one block, there’s a sign things are changing. Scaffolding surrounds a vacant house on a corner and workers from Daiwa House are clanging away inside. They’re not demolishing the house but refurbishing it – reorganising the floor plan, knocking down walls, opening up the kitchen and enhancing the insulation. Rather than tear down the house so the next buyer can build something new, they’re rebuilding it from the inside and putting it back on the market. It’s a relatively rare commodity, but something that is increasingly common across Japan: a secondhand home. “For the first time, Japanese people are beginning to appreciate living in older homes,” says Noboru Kaihou, a Daiwa House public information officer. Everywhere from major metropolitan areas such as Tokyo and Osaka to struggling mid-size cities to suburban housing estates, renovated buildings are an evolving niche in the property market, emblematic of the dramatic transformation under way in Japan. The country is shrinking, with a negative growth rate that’s expected to bring its current population of about 127 million down to 88 million by 2065. It’s also an ageing society, and within 20 years over a third of its inhabitants will be 65 or older. As the population shrinks and ages, it is also concentrating into metropolitan areas, leaving millions of suburban and rural homes vacant. The current vacancy rate nationwide is about 13%, according to the Nomura Research Institute, and that figure is expected to rise above 30% by 2033. Coupled with Japan’s stagnant economy, these statistics have many convinced that the market for new buildings will begin to dry. Like Daiwa House, many other big housing manufacturers are getting into the refurbishing business. A 45-minute drive north of Tokyo, the country’s largest prefab builder, Sekisui House, operates a home park featuring its newest models. Most cater to the high end of the market, with large multistorey layouts and luxury finishings, but tucked in a corner is a more modest two-storey house. The first floor is furnished like a typical home built in the 80s: small rooms, highly compartmentalised spaces and even a recliner in the living room. Upstairs, the same floorplan has been updated so that the kitchen opens out onto the dining area and walls are pushed back or removed altogether. A traditional tatami mat sitting room in the old layout becomes a media room, with a low couch and a flatscreen television. It’s not just the big housing manufacturers that are catching on. Zoe Ward is a Tokyo real estate agent and CEO of Japan Property Central, which specialises in finding homes for expats, and she says buyers are starting to reconsider the value of older buildings. New companies have opened in recent years that focus specifically on refreshing old spaces. “Sometimes they’ll gut the entire building to its concrete shell,” she says. “The outside won’t look any different from the buildings around it, but inside it’ll look like a brand new house.” As demand for housing grows in Tokyo, renovation companies are on the lookout for people ready to sell. “We get them calling every day,” Ward says. Renovation isn’t always an option. 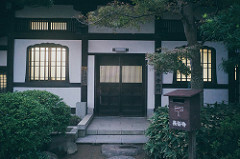 In the Tokyo suburb of Tachikawa, Shiro Kawashima and his wife, both middle-aged, are walking through a faux neighbourhood lined with model homes. Built by prefabricated-housing manufacturers and local carpenters, the homes are on display and available for tours guided by eager salespeople. The couple, who live nearby, are here shopping for a new home, albeit reluctantly. “I’m really proud of my old house,” he says. “It’s regrettable but I have to tear it down.”The house is 70 years old he says – a rarity – and suffering from structural damage that is prohibitively expensive to fix. Moving is also out of the budget, so his only option is to tear the old house down and build anew. The houses on display here don’t appeal to him. “Not at all,” he says, disappointed. “I just want a simple, basic structure,” he says. Like his current home. But it’s not just about freshening up the resident pool. The buildings in question are often maintained through tenant associations, and as older tenants die, there’s less money for upkeep and earthquake retrofits. To inject more contributions to those efforts, the national government’s Urban Renaissance Agency is trying to lure younger people into these buildings. One approach is by partnering with the minimalist retailer Muji. As well as being a global presence, the Japanese brand retains considerable cachet in its home country, where its simple, utilitarian products are widely popular. Through its association with the Urban Renaissance Agency, Muji has begun renovating and redecorating units in public housing blocks to attract younger tenants – tearing out walls, replacing clunky kitchen cabinets with open storage spaces and racks, clearing space for bicycle storage.“The old design doesn’t fit with younger people’s tastes,” says Koji Kawachi, director of Muji’s dwelling space operation, noting that many of the buildings have a cramped, overly partitioned layout. “The renovation is based on the idea that small, separated rooms can be integrated into larger spaces,” he says. The company strips the rooms of excessive finishes and replaces them with clean white surfaces and spare wood furnishings. Kawachi says the Muji units receive five to seven times as many applications as typical units. For Mitsuhiro Tokuda, the decline was particularly evident in the city’s downtown area, a compact network of narrow commercial streets and large shopping arcades. Tokuda, a professor of architecture at the Kyushu Institute of Technology, launched a study of downtown Kitakyushu to quantify how much of the city had become vacant. With a team of students, he conducted a detailed survey to identify which buildings were partially or completely vacant and which could be reused. “But thinking can’t change anything,” he says. So he started a small business to work with property owners to renovate vacant spaces for new uses. Their first product took a vacant 5th floor and converted it into shared office spaces now used by graphics designers and video editors. Tokuda walks through the ground floor of a mid-rise building near the centre of Kitakyushu’s downtown. A former clothes factory, it had long been empty. Tokuda and his team converted it into a hodgepodge of new spaces – a community room, small offices, creative work spaces for local craftspeople, a cafe and various boutiques. One features vintage paperback books. Another display window holds a pair of leopard-print loafers. Almost all of the spaces are now rented out. 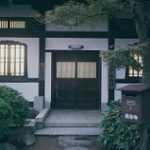 Share the post "Flipping Japan’s Depreciating Houses"